IndiaNivesh Portfolio Management Services (PMS) is a SEBI-registered portfolio manager. The aim of IndiaNivesh PMS is capital preservation and long term wealth creation through various portfolio strategies. Our current offering, ‘SPROUT’ portfolio, focuses on small and micro-cap companies listed in India that have a strong and sustainable business model. At IndiaNivesh, we firmly believe that there are several small and micro-cap companies that are undiscovered and under-researched, having a robust and sustainable business model with tremendous growth potential and managed by dynamic entrepreneurs. These companies have the ability to generate significant wealth for their investors. Our ideal is to build a cherry-picked portfolio of such companies for our clients, which is beyond the ordinary. IndiaNivesh’s robust investment process includes a thorough quantitative screening of companies, which filters out the under-performing companies and highlights the winners. Companies are assessed across various parameters including financials, business sustainability and their competitive edge. This process encompasses a full due-diligence conducted by us. We also rigorously monitor the companies post-investment. A streamlined and concentrated portfolio of 15-20 companies with an investment time horizon of 2-3 years. Fundamental analysis to pick only the best companies for investment using a bottom-up approach. Monitoring the companies to make decisions related to subsequent divestment or incremental exposure. Creating a disciplined approach based on valuations, long-term prospects and keeping in mind alternative prospects and opportunities. Mr. Saboo possesses more than 6 years of experience in the areas of corporate finance such as debt-syndication, raising private-equity, corporate restructuring, credit rating, management tie-ups, due-diligence, Initial public offerings, etc. He has been actively practicing in segments of NBFC, Hospitality, Education and Infrastructure sector. 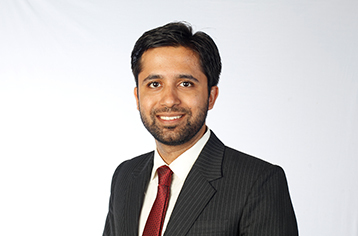 Prior to joining IndiaNivesh, he has worked as a business analyst with Goldman Sachs. Mr. Saboo is a Chartered Accountant. 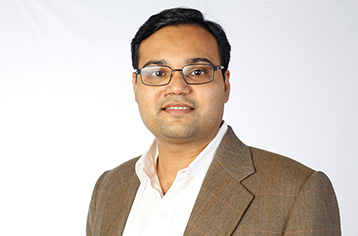 Ankit has prior experience working with a SEBI-registered venture capital fund with the size of USD 30 million which was focused on small and medium sized investee companies. Previously at IndiaNivesh, he was responsible for preparation of business strategies and models for foreign companies establishing their business presence in India. His wealth of experience spans through diverse skill sets such as equity research, enterprise valuation, financial modelling, forecasting techniques, evolving business strategies and due diligence. Ankit holds a Master’s Degree in Business Administration in Finance from IIM Calcutta and a Bachelor’s Degree in Technology from IIT Roorkee. He is also an accredited Financial Risk Manager and Chartered Financial Analyst.